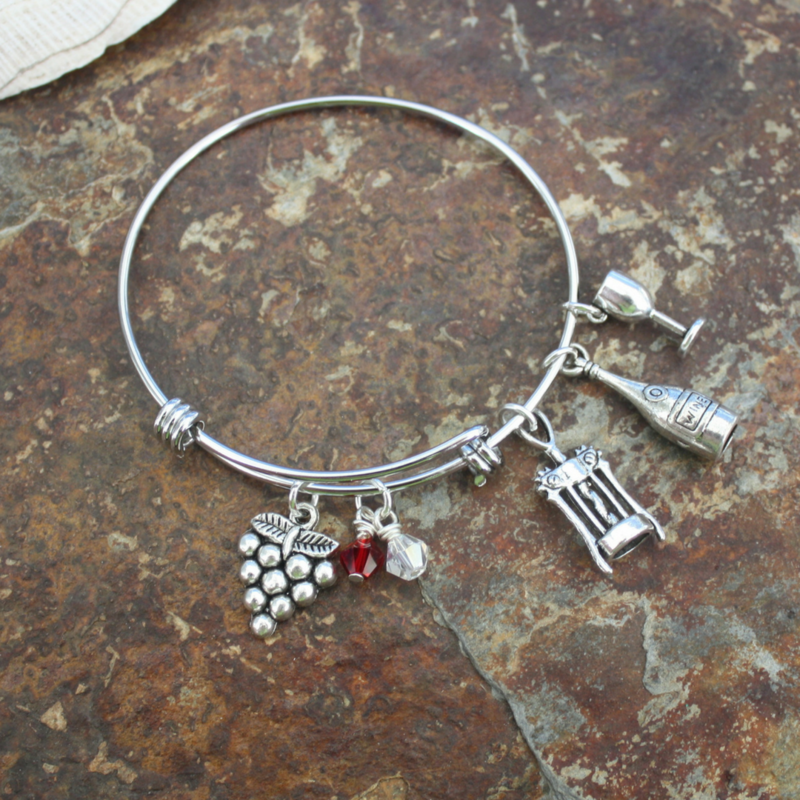 This is the perfect bracelet for wine lovers. The bracelet is made of sturdy stainless steel so it won’t tarnish and adjusts to fit all size wrists. 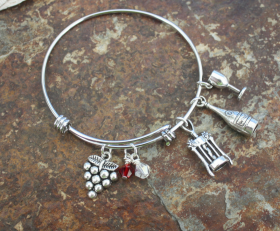 Red and white (Chardonnay and Cabernet) Swarovski crystals accent the bracelet along with 4 wine related charms. Categories: Bangles, Food & Drink, New, Wine Charms.